This is an effort by K. Langloh Parker to describe in formal terms her understanding of Euahlayi society. The resulting ethnography is factual and well written. Parker was obviously also familiar with the anthropological literature. As a female she had access to the women of the tribe, a viewpoint for which we have no other source from that time period. No introduction to Mrs. Langloh Parker's book can be more than that superfluous 'bush' which, according to the proverb, good wine does not need. 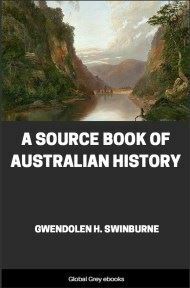 Our knowledge of the life, manners, and customary laws of many Australian tribes has, in recent years, been vastly increased by the admirable works of Mr. Howitt, and of Messrs. Spencer and Gillen. But Mrs. Parker treats of a tribe which, hitherto, has hardly been mentioned by anthropologists, and she has had unexampled opportunities of study. It is hardly possible for a scientific male observer to be intimately familiar with the women and children of a savage tribe. Mrs. Parker, on the other hand, has had, as regards the women and children of the Euahlayi, all the advantages of the squire's wife in a rural neighbourhood, supposing the squire's wife to be an intelligent and sympathetic lady, with a strong taste for the study of folklore and rustic custom. Among the Zulus, we know, it is the elder women who tell the popular tales, so carefully translated and edited by Bishop Colenso. Mrs. Parker has already published two volumes of Euahlayi tales, though I do not know that I have ever seen them cited, except by myself, in anthropological discussion. As they contain many beautiful and romantic touches, and references to the Euahlayi 'All Father,' or paternal 'super man,' Byamee, they may possibly have been regarded as dubious materials, dressed up for the European market. Mrs. Parker's new volume, I hope, will prove that she is a close scientific observer, who must be reckoned with by students. She has not scurried through the region occupied by her tribe, but has had them constantly under her eyes for a number of years. My own slight share in the book as it stands ought to be mentioned. After reading the original MS., I catechised Mrs. Parker as to her amount of knowledge of the native language; her methods of obtaining information; and the chances that missionary influence had affected the Euahlayi legends and beliefs. I wrote out her answers, and she read and revised what I had written. I also collected many scattered notices of Byamee into the chapter on that being, which Mrs. Parker has read and approved. 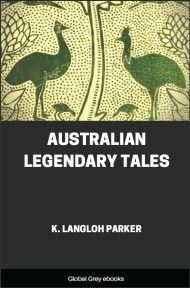 I introduced a reference to Mr. Howitt's theory of the 'All Father,' and I added some references to other authorities on the Australian tribes. Except for this, and for a very few purely verbal changes in matter of style, Mrs. Parker's original manuscript is untouched by me. It seems necessary to mention these details, as I have, in other works, expressed my own opinions on Australian religion and customary law. These opinions I have not, so to speak, edited into the work of Mrs. Parker. The author herself has remarked that, beginning as a disciple of Mr. Herbert Spencer in regard to the religious ideas of the Australians--according to that writer, mere dread of casual 'spirits'--she was obliged to alter her attitude, in consequence of all that she learned at first hand. 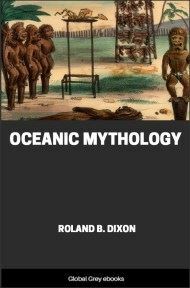 She also explains that her tribe are not 'wild blacks,' though, in the absence of missionary influences, they retain their ancient beliefs, at least the old people do; and, in a decadent form, preserve their tribal initiations, or Boorah. How she tested and controlled the evidence of her informants she has herself stated, and I venture to think that she could hardly have made a better use of her opportunities. In one point there is perhaps, almost unavoidably, a lacuna or gap in her information. The Euahlayi, she says, certainly do not possess the Dieri and Urabunna custom of Pirrauru or Piraungaru, by which married , and unmarried men, of the classes men and women which may intermarry, are solemnly allotted to each other as more or less permanent paramours. That custom, for some unknown reason, is confined to certain tribes possessing the two social divisions with the untranslated names Matteri and Kiraru. These tribes range from Lake Eyre southward, perhaps, as far as the sea. Their peculiar custom is unknown to the Euahlayi, but Mrs. Parker does not inform us concerning any recognised licence which may, as is usual, accompany their Boorah assemblies, or their 'harvest home' of gathered grass seed, which she describes. Any reader of Mrs. Parker's book who has not followed recent anthropological discussions, may need to be apprised of the nature of these controversies, and of the probable light thrown on them by the full description of the Euahlayi tribe. The two chief points in dispute are (1) the nature and origin of the marriage laws of the Australians; and (2) the nature and origin of such among their ideas and practices as may be styled 'religious.' 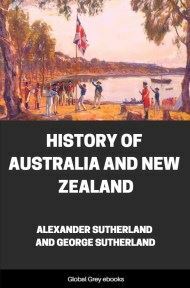 As far as what we commonly call material civilisation is concerned, the natives of the Australian continent are probably the most backward of mankind, having no agriculture, no domestic animals, and no knowledge of metal-working. Their weapons and implements are of wood, stone, and bone, and they have not even the rudest kind of pottery. But though the natives are all, in their natural state, on or about this common low level, their customary laws, ceremonials, and beliefs are rich in variety. As regards marriage rules they are in several apparently ascending grades of progress. First we have tribes in which each person is born into one or other of two social divisions usually called 'phratries.' Say that the names of the phratries mean Eagle Hawk and Crow. Each born Crow must marry an Eagle Hawk; each born Eagle Hawk must marry a Crow. The names are derived through the mothers. One obvious result is that no two persons, brother and sister maternal, can intermarry; but the rule also excludes from intermarriage great numbers of persons in no way akin to each other by blood, who merely share the common phratry name, Crow or Eagle Hawk.